Adjacent to Kuwait International Airport, US crews have dug through Kuwaiti soil to install new communications cables and antenna systems that will enable both the US and Kuwaiti air forces to operate out of Cargo City, which will be the main aerial debarkation point in the Middle East, the US Air Force’s 386th Expeditionary Wing announced in a July 5 news release. 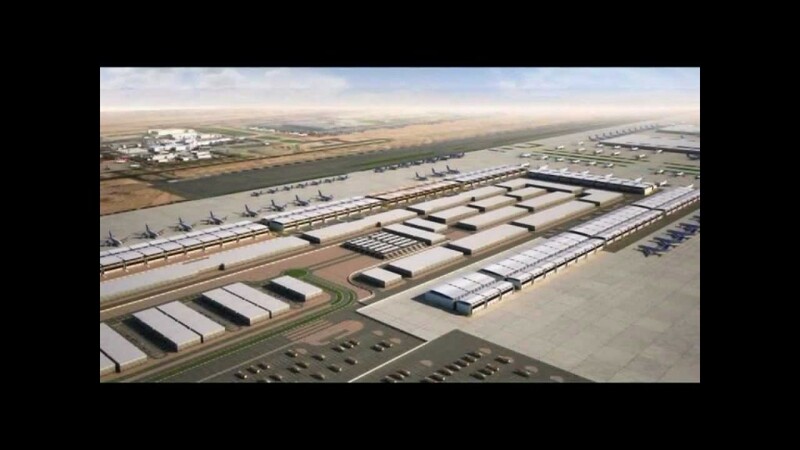 The construction of the $32 million logistics hub has taken place during a time of “massive expansion” at Kuwait International Airport, the release notes. Still, the service plans for the airfield to be its major Middle East logistics hub for transporting supplies, personnel and equipment to and from regional military theaters only until 2023, at which point the service says it will shift to the West Al-Mubarak Air Base, also part of the Kuwait International Airport complex, as its primary operating location. “We wanted to go into this project with the clear intentions of building not just an operating location, but a lasting partnership,” Captain Sean Murphy of the 387th Expeditionary Support Squadron said. Murphy is in charge of the civil engineering projects taking place near the Kuwaiti airport, according to the release. Twenty-four hours a day for four months straight, a local trucking firm shuttled in 400 truckloads of soil, dirt and rock. After the site was prepared, the crew had to make the site move-in ready within three months, according to the US Air Force. Further construction of the aircraft parking ramp and a place for aircraft to taxi is slated to wrap up later this fall.